After broccoli, it is asparagus that gets left out from our list of favourite foods, but you really should be eating more of it. The bright green veggie is nutrient rich and has a lot of vitamins that are essential to keep the body healthy. There are tricks to cooking it well. Blanching for no more than two minutes in boiling hot water and dunking the stalks into an ice bath are ideal. Some chefs even add a pinch of salt to the boiling water to help brighten the colour of the greens during serving. Asparagus can be served as a side with pan-tossed veggies or pan seared meats, helping you achieve that balanced meal count easily. Asparagus is extremely low in calories and fat – one single cup is said to have as many as 32 calories which makes it a perfect weight loss food option. Aspragine, an amino acid is a natural diuretic and is found in high amounts in asparagus. It therefore helps flush out toxins, excess fluid and salts from the body and help keep the urinary system healthy. High vitamin E content in asparagus helps in the upkeep of your immune system. It also has a good amount of vitamin B6 and folate, which go a long way cell repair and healthy DNA synthesis. A single serving (about 1 cup) of asparagus provides as much as 22 percent of the daily folic acid requirement, making it a great food for women who are trying to conceive. Studies suggest that pregnant women who had a folate-rich diet for at least a year prior to conception have half the risk of premature birth, as compared to those whose diets were found lacking this essential nutrient. The vitamin K content of asparagus is quite high as compared to several green veggies. Essential for normal coagulation of blood, vitamin K also plays a part in maintaining bone health by helping the body absorb calcium efficiently. Asparagus is rich in antioxidants which can help fight damage. However, overcooking asparagus may be detrimental to these delicate compounds and may also cause the vitamins to leech out, which is why it is best to boil or sauté the stalks. 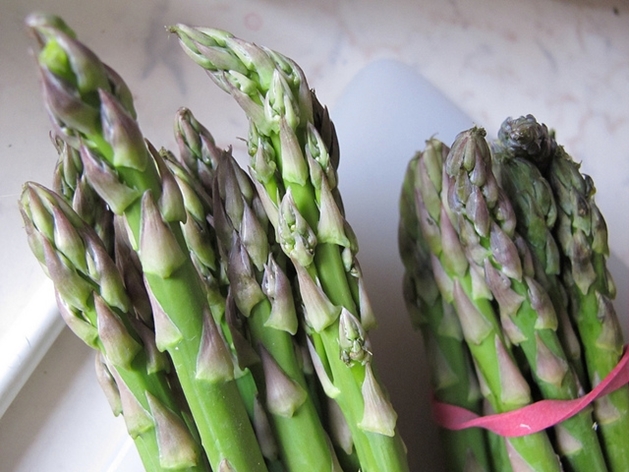 Minerals and vitamins founds in asparagus are also beneficial in keeping the liver healthy.